Stormshadow Guitarworks S4 Guitars are available to order and feature Vanquish S4 Alder / Swamp Ash Body, Maple Neck with Ebony Board, Top mounted Schaller Lockmeister Floyd Rose Bridge with FU Tone Block & D-Tuna, In Natural Wax Finish with Reversed Storm CL Headstock. 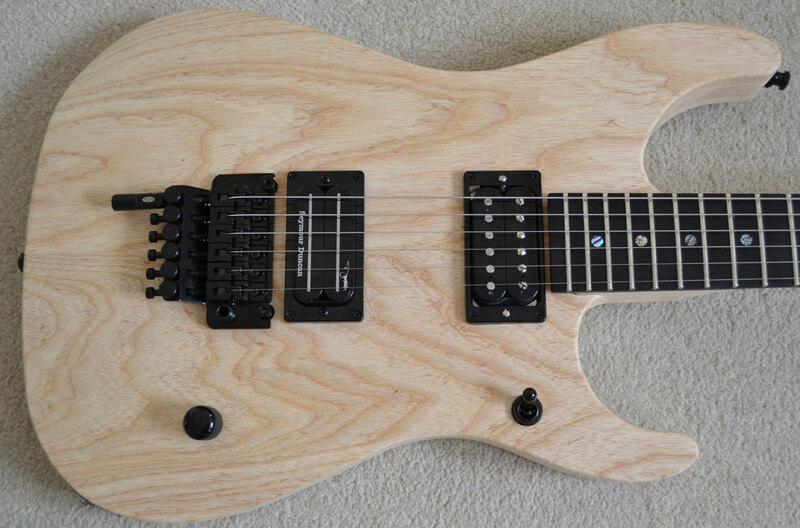 Stormshadow Guitarworks S3 Guitars are available to order and feature Vanquish Alder Body, Quartersawn Maple Neck with Birdseye Maple Board, Top mounted Schaller Lockmeister Floyd Rose Bridge & Seymour Duncan 'Dimebag' pickup set. In Natural Wax Finish with Reversed Storm CL Headstock.